Terry Luker is the founder and Senior Partner of Alternative Capital Funding Solutions. Terry is considered by many to be an expert in deal structure and creative financing options that are not obvious to most. His “can do” attitude and persistence is apparent to all with whom he associates. With 25 years in the finance community, including 20 years in the automobile industry, Terry is familiar with the financing and/or refinancing of almost every aspect of different industries. Experience with real estate acquisition, facilities construction, inventory floor plans, and directing finance departments has prepared Terry for the diverse needs of commercial funding challenges we face every day. He truly believes that all business owners should have the opportunity to pursue their dreams and have access to the capital needed to support their businesses. Trouble with access to capital, many times, is a lack of acceptable structure, presentation, and/or aggressive representation by a professional broker on the behalf of the client. Terry’s philosophy is, “If a project is not a deal, look for a solution to make it happen.” These words are a mission statement for his sales team, as well as his credit team. He holds them accountable to that philosophy every day. Terry was awarded the 2014 “Rookie of the Year” award by the National Alliance of Commercial Loan Brokers in its first year, and followed that up by being recognized as the 2016 “Commercial Loan Broker of the Year”. 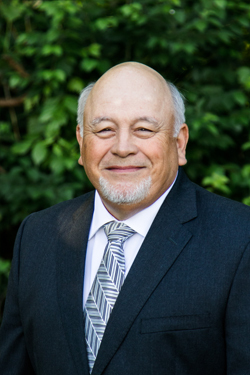 With over 40 years of owning, financing, and managing business enterprises, Ken brings a diverse perspective to ACS that gives our company a true advantage with lenders. He has extensive experience in working directly with financial institutions as a credit analyst, problem solver and in new business development. We pride ourselves in establishing relationships and gaining knowledge as to what our client’s business capital requirements are and how they operate. This allows us to answer most questions our lender might have as it relates to what and how the money will be used. Because of the business and finance experience Ken possesses, he has the ability to “get the picture” of not only how our client operates, but also the things we can do to assist with structuring the financial package to obtain the best possible results. His business acumen and personal skills help ACS get deals done. Jeff joins the Alternative Capital Funding Solutions team after working within the Automotive Industry with the last seven years in Sales Management Leadership and as the Finance Director of a large automotive group. Jeff is a 2006 graduate of the University of Alabama with a Bachelor’s degree in Business. During his time in the finance arena, he has worked diligently to build lender relations to foster a steady growth in his departments. His finance departments were consistently rated in the top two in the Houston Metro market both in income production and customer satisfaction. He is responsible for placing over $247,455,000 worth of consumer loans with lenders through his relationship network, and his teams were responsible for delivering over 12,000 new and pre-owned vehicles to customers. His can do spirit and desire to continue his growth in both on the job experience and continuing education, are paramount to his outstanding performance and success. He joins the ACS Team in the Franklin, TN corporate office as an Associate Partner and is tasked with continuing to develop our lender and investor relationships. He and his lovely wife Julie Parker Luker have two sons, Harrison and Hudson, and they reside in the greater Nashville area. in love with real estate investing and finance. Billy is a seasoned investor and also a NMLS licensed loan officer. Locally he is a sponsor of the Music and Money investors group and a frequent instructor to the Nashville Area Real Estate Investors. Away from the office you can find Billy at Nashville Golf and Athletic Club or spending time with his wife, Alison, and daughter, Charlotte. 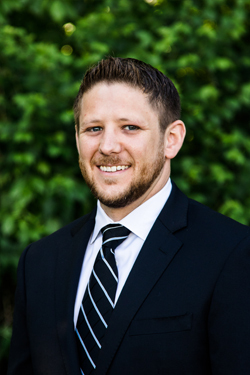 Micah comes to ACS with over ten years of banking experience as a Credit Analyst. She has an extensive background in underwriting commercial loans of all types and sizes ensuring cash flows and debt service requirements are with in standard guidelines. She has been involved in underwriting projects as small as $2500.00 and as large as $55 Million. Her expertise in gathering and analyzing data was paramount in the success and growth of her commercial credit departments. Her attention to detail and desire to assist in the growth of commercial business makes her a valued member of any team. 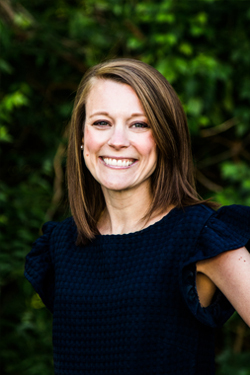 Micah was raised in Columbia, TN and has spent the majority of her life in Middle Tennessee. She graduated high school from Zion Christian Academy and earned her Bachelor’s degree from Middle Tennessee State University. She resides in Murfreesboro with her husband Adam and their two young daughters. Micah has a passion for children with special needs and works tirelessly to spread awareness of those children and families. She is involved in fund raising for organizations that serve those special needs children as well as support for their families. Raising a family and community involvement keeps her very busy, but in her spare time she enjoys attending concerts, crafting, and spending time with family and friends. Julie Luker is the Administrative Director for Alternative Cash Solutions. She coordinates and directs security for all confidential information as well as assisting our team with scheduling and the expedition of all client transactions. She is directly responsible for all client files being properly secured and maintained in the Alternative Cash Solutions system. Julie’s previous position was in the medical field working as a specialist for Oncology Services. Her duties were to coordinate outgoing charges for physicians as well as manage ongoing relationships with insurance companies. Julie was raised in south Alabama. She is a 2007 graduate of the University of Alabama, with a Bachelor’s Degree in Journalism with a minor in Spanish. After graduation, she married her husband Jeff and together they moved to the Houston, TX area. They recently moved to the Nashville area, where she and her husband Jeff reside with their two young sons, Harrison and Hudson. Julie’s passion is football with a natural love for the Alabama Crimson Tide. She holds her own in any conversation relating to football and how the game is played. Julie and her family currently reside in Franklin, Tennessee. Tracy comes to ACS with 13 years in the banking Industry. She also has 4 years in the data entry field. She has very strong customer service skills and works to meet and exceed the customer’s needs. Tracy is very focused on the work at hand and what it takes to make the process as smooth as possible. Tracy lives in Williamsport, TN with her husband, Tony and their dog Yoda. She has 4 wonderful children ranging from 24 to 16 years of age. Tracy loves spending time with family and friends outside of work. She enjoys going to the river and being in the outdoors.